Our range of products include steel porta cabin, modern portable office cabin, ms drivers living room, ms coffee shop, mobile canteen and ms portable cabin. 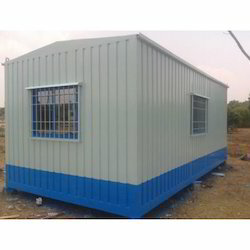 With the state-of-the-art infrastructure, we are engaged in offering Steel Porta Cabin. 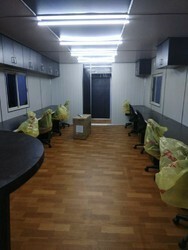 We are nurturing a long lasting relationship with our patrons by manufacturing and exporting an exceptional range of Modern Portable Office Cabin. These cabins are broadly used as the onsite office in the remote location or at the construction sites. We design Office Cabin with the assistance of latest technologies and state of the art infrastructural facilities from premium grade materials. 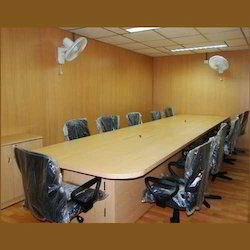 Being a quality centric organization, our forte is to offer world-class products to clients at reasonable prices. We are engaged in providing a wide range of MS Drivers living Room to our valuable clients. We are offering an exclusive range of Ms Coffee Shop to our valuable clients. 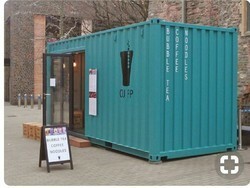 We are offering a wide range of Mobile Canteen to our valuable clients. 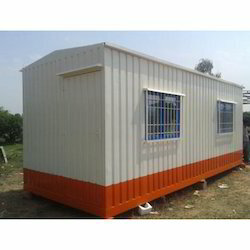 We provide MS Portable Cabin that comes in various colors. These cabins are easy to disassemble and thus can be carried or installed and uninstalled quickly. 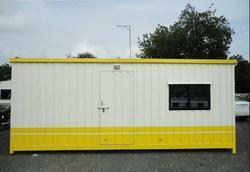 Our firm has gained huge appreciation in the market by offering superior quality Portable Site Office. Offered cabin is fabricated by making use of superior quality raw materials and advanced technology in complete compliance with industry norms. 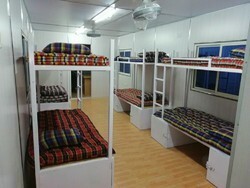 Due to the dedicated efforts of our team of expert professionals, we are able to provide Prefabricated Portable Cabin. Cashing in on the insight and knowledge of our dedicated professionals, we are able to offer Portable Office Cabin. 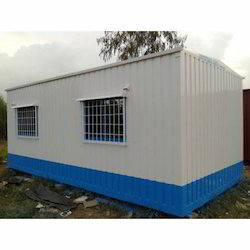 We are counted among the leading names of an excellent range of FRP Porta Office Cabin. Our company has emerged with its devotion and obligation to offer a wide range of Customized Portable Office Cabin. We are offering Color Coated Portable Cabin to our client. 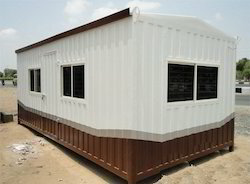 We are offering Steel Portable Cabin to our client.